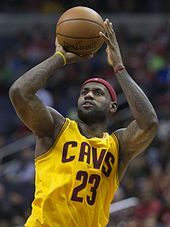 The National Basketball Association Most Valuable Player Award (MVP) is an annual National Basketball Association (NBA) award given since the 1955–56 season to the best performing player of the regular season. The winner receives the Maurice Podoloff Trophy, which is named in honor of the first commissioner (then president)[a] of the NBA, who served from 1946 until 1963. Until the 1979–80 season, the MVP was selected by a vote of NBA players. Since the 1980–81 season, the award is decided by a panel of sportswriters and broadcasters throughout the United States and Canada. Each member of the voting panel casts a vote for first to fifth place selections. Each first-place vote is worth 10 points; each second-place vote is worth seven; each third-place vote is worth five, fourth-place is worth three and fifth-place is worth one. Starting from 2010, one ballot was cast by fans through online voting. The player with the highest point total wins the award. As of June 2018[update], the current holder of the award is James Harden of the Houston Rockets. Every player who has won this award and has been eligible for the Naismith Memorial Basketball Hall of Fame has been inducted. Kareem Abdul-Jabbar won the award a record six times. He is also the only player to win the award despite his team not making the playoffs back in the 1975–76 season. 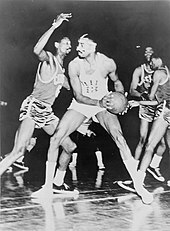 Both Bill Russell and Michael Jordan won the award five times, while Wilt Chamberlain and LeBron James won the award four times. Russell and James are the only players to have won the award four times in five seasons. Moses Malone, Larry Bird and Magic Johnson each won the award three times, while Bob Pettit, Karl Malone, Tim Duncan, Steve Nash and Stephen Curry have each won it twice. Only two rookies have won the award: Chamberlain in the 1959–60 season and Wes Unseld in the 1968–69 season. Hakeem Olajuwon of Nigeria,[b] Duncan of the U.S. Virgin Islands,[c] Nash of Canada[d] and Dirk Nowitzki of Germany are the only MVP winners considered "international players" by the NBA. 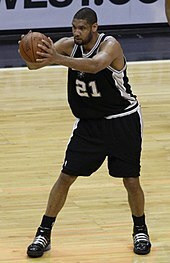 Tim Duncan, of the San Antonio Spurs, won back-to-back Most Valuable Player awards in the '01-02 and '02-03 seasons. Derrick Rose became the youngest player to ever win the award at age 22. Stephen Curry won back-to-back MVP awards and was the first unanimous winner in the '15-16 season. James Harden is the reigning MVP. ^ The official title of the position was President until 1967 when it was changed to Commissioner. ^ a b Hakeem Olajuwon was born in Nigeria, but became a naturalized United States citizen in 1993. He was the first ever international player to win the award. ^ a b c Although Duncan was born in the U.S. Virgin Islands and is a United States citizen, the NBA considers him an international player. ^ a b c Steve Nash, who was born in South Africa, was raised in Canada. ^ Allen Iverson received the only other first-place vote in 2000, while Carmelo Anthony received the only other first-place vote in 2013. ^ Except for seasons affected by lockouts, when the schedule was shortened from the norm of 82 games. Karl Malone won in 1998–99 when Utah was 37–13 in 50 games, which projected to 60 wins in 82 games. James won in 2011–12 when the Miami Heat were 46–20 in 66 games, which projected to 57 wins. ^ a b c d e f Before the 1971–72 season, Lew Alcindor changed his name to Kareem Abdul-Jabbar. 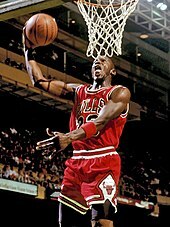 ^ Malone, at 35 years and 284 days old at the end of the regular season, is the oldest MVP in NBA history. 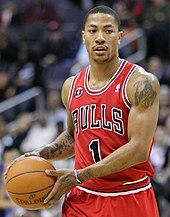 ^ Rose, at 22 years and 191 days old at the end of the regular season, is the youngest MVP in NBA history. "Most Valuable Player". NBA.com. Turner Sports Interactive, Inc. Retrieved July 4, 2008. "Most Valuable Player Award Winners". basketball-reference.com. Retrieved July 7, 2008. "NBA MVP – Maurice Podoloff Trophy – Marc Mellon Sculpture Studio". Archived from the original on March 3, 2016. Retrieved January 19, 2002. ^ Monroe, Mike. "The Commissioners". NBA.com. Turner Sports Interactive, Inc. Retrieved July 8, 2008. ^ "LeBron receives 116 first-place votes". ESPN.com. May 2, 2010. Retrieved May 2, 2010. 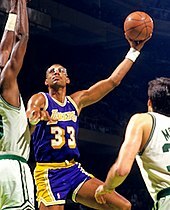 ^ "Kareem Abdul-Jabbar". NBA.com. Turner Sports Interactive, Inc. Retrieved July 4, 2008. ^ a b "Most Valuable Player". NBA.com. Turner Sports Interactive, Inc. Retrieved July 4, 2008. ^ a b c Wallace, Michael (May 5, 2013). "LeBron James wins 4th MVP award". ESPN.com. Archived from the original on May 6, 2013. ^ "Wes Unseld". NBA.com. Turner Sports Interactive, Inc. Retrieved July 4, 2008. ^ "Virgin Islands". CIA World Factbook. Retrieved August 12, 2008. ^ a b "NBA Players from around the world: 2005-2006 Season". NBA.com. Turner Sports Interactive, Inc. Retrieved March 13, 2011. ^ McPeek, Jeramie. "The Canadian Kid". NBA.com (from Fastbreak Magazine of Sept./Oct. 1996). Turner Sports Interactive, Inc. Retrieved April 22, 2009. ^ "Who is the leading MVP candidate?". ESPN.com. March 6, 2015. Archived from the original on March 16, 2015. ^ Hubbard, Jan (April 22, 1990). "NBA NOTES : Charles Barkley Running a Slick Campaign for MVP". Newsday. Archived from the original on March 16, 2015. 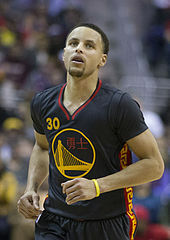 ^ "Stephen Curry wins MVP for second straight season". ESPN.com. May 11, 2016. Retrieved May 30, 2018. ^ "Kareem Abdul-Jabbar Bio". NBA.com. Turner Sports Interactive, Inc. Retrieved August 4, 2008. ^ "Karl Malone 1998-99 game log". basketball-reference.com. Retrieved October 2, 2016. ^ "Derrick Rose 2010-11 game log". basketball-reference.com. Retrieved October 2, 2016. This page was last edited on 12 April 2019, at 12:30 (UTC).